Auto accidents may result in very minor injuries, permanent disability, or even causalities. Medical treatment is essential in such cases and the hospital bills can be staggering depending upon the severity of the injury. This cost may be so high that paying the bills becomes next to impossible for you. Luckily, you are not the only one who has to pay the medical bills. You can request the liable party or insurance company compensate you for your medical bills. Not just the amount spent, but also the medical bills that may accrue in the future. 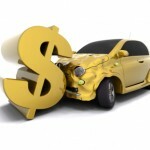 Any kind of damage that occurred to your car, phone, laptop or any other property due to the accident can be compensated. You may also ask for the repair or replacement. Generally, the liable party and/or the insurance company pay you the amount equal to the insurance policy of your property. But if you do not have your properties insured, you may still ask for the compensation. The time missed while recovering from an injury is generally considered your loss of employment time. An such, the insurance company / liable party is responsible to pay for your lost wages. All you need to do is calculate the amount that you would have earned during the time you were injured. The insurance company pays a lump-sum amount for your losses. The exact amount for pain or suffering cannot be calculated, still you may claim some compensation for the pain you have suffered due to the accident. The amount payable in such cases depends upon the type of injury, the extent of the pain and the long term effects of the injury. If you have lost your loved one in the accident, you can claim for the loss of companionship, care and affection. Your case becomes stronger if you were financially dependent upon the deceased person. Contact LegalHelpLawyers.com today to see how our experienced automobile accident lawyers can assist you!